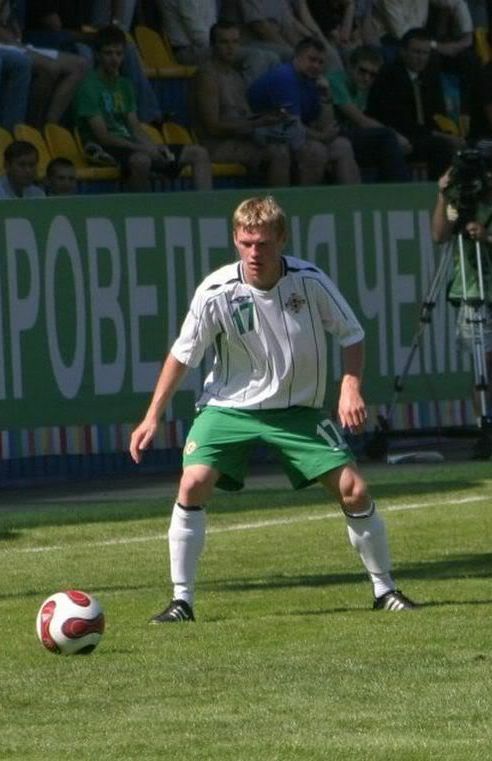 Representative Honours: Northern Ireland: Full (2013-date), 7 Under-21 Caps (2008-2010), Under-20, Under-18. Honours: (with Inverness) Scottish League Cup Runner-Up 2013/14. Awards: SPL Player of the Month November 2012; SPFL Player of the Month September 2013. Young striker who came through the ranks at Leicester, impressing for their academy and reserve teams. Promoted to the Foxes' firstteam squad in April 2008 he never made a senior appearance and was released at the end of the 2008/09 season. He joined Northampton that summer after a successful trial and made his league debut on the opening day of the season, starting in a 0-0 home draw against Macclesfield. He scored his first goal in a 3-0 win after coming on as a substitute at Accrington Stanley on 18th August and became a regular starter and goalscorer from Christmas onwards. On 22nd September 2010 he scored against Liverpool at Anfield as Northampton won a Carling Cup tie on penalties. 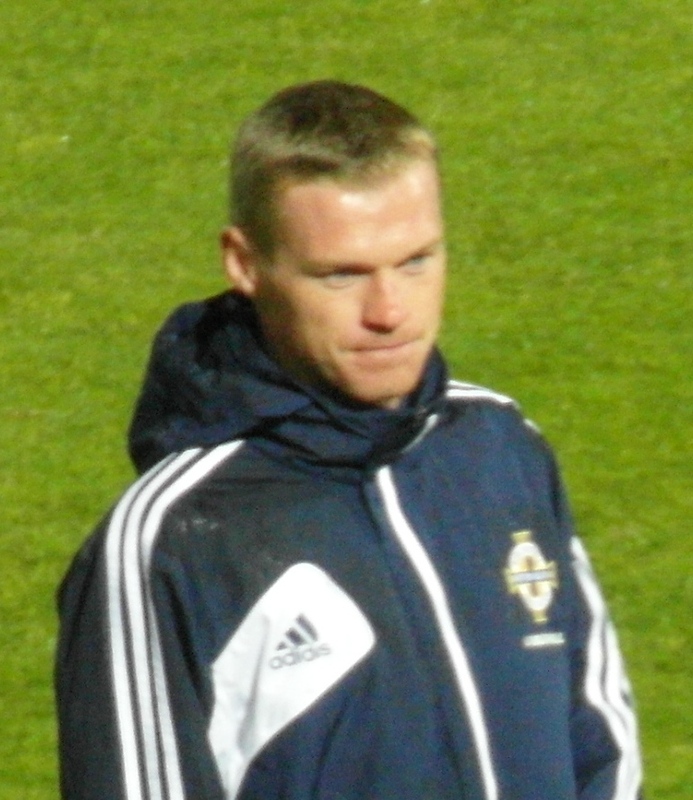 On his release by Northampton in the summer of 2011 he joined SPL side, Inverness Caledonian Thistle. 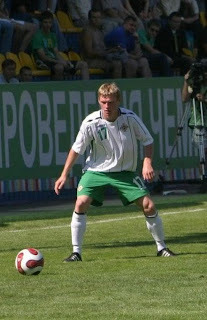 Capped seven times at Under-21 level, he made his debut during a mini tournament in Ukraine in August 2008. A rich vein of form early in the 2012/13 season saw McKay called up to the senior squad for the first time against Azerbaijan in November 2012, though he remained an unused sub. His goals for Inverness, including a winner against Celtic, earned him the SPL Player of the Month award for November. He earned his first cap as a substitute in a low-key friendly draw with Malta in February 2013. 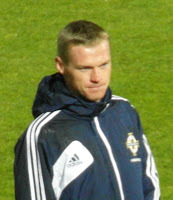 By mid-March he had become the first Northern Ireland player to score twenty goals in an SPL season. McKay continued his good form into the 2013/14 season, claiming the September SPFL Player of the Month award. That season he aided Caley to their first major final, only to suffer the disappointment of seeing his penalty saved in a shoot-out defeat by Aberdeen in the League Cup. Mid-way through 2014/15, with his contract set to expire at the end of the campaign, Caley cashed in on McKay, selling him to Wigan for a fee of around £150,000. Summary: 4(3)/0. Won 1, Drew 0, Lost 6.